If you have diabetes and need life insurance you may have discovered it can be difficult if not impossible to get the coverage you need. Whether you have type 1 diabetes or type 2 diabetes, it will affect your ability to get insured for life insurance. Insurers look carefully at applicants that have diabetes, including your age, if you smoke, when you were diagnosed, how long you have been diabetic, what type of medication you take, if you are overweight, if you have had any diabetic seizures, and any diabetic-related health issues you may have. 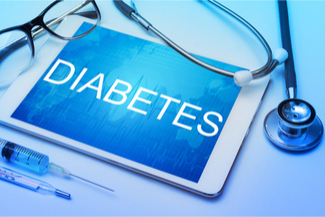 In addition, they consider how you manage your diabetes, including how often you see your doctor, your diet and exercise routine, and your weight, among other things. Today, more and more people are becoming diabetic and finding it difficult to get life insurance if they don’t properly manage their diabetes. That’s where Guaranteed Issue Life Insurance can help. Now you don’t have to worry about trying to find a life insurer willing to insure you. 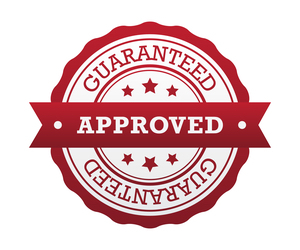 With guaranteed approval plans you cannot be turned down due to any pre-existing health condition. That’s right – You Can Get Insured. How Does Guaranteed Life Insurance Work? It’s simple. If you meet the age requirement for approval, you are guaranteed coverage. For example, one highly-rated carrier offers guaranteed policies for people age 45 to 85. There’s no physical examination required, and you won’t have to answer any questions about your health. Usually, guaranteed policies offer up to $20,000 to $25,000 of coverage. And, if you need more life insurance, you may purchase a policy from more than one insurance company. Which Life Insurance Carriers Offer Guaranteed Insurance? There are several life insurers that offer guaranteed-issue plans, including United of Omaha, AIG, AAA, Gerber Life, and MetLife, among others.